Family, Stamping and FOOD! : Lesson Plan Week 5 (10/4/10) - Letter "E"
Lesson Plan Week 5 (10/4/10) - Letter "E"
Here's our "lesson plan" for week 5 or letter "E"
Practice writing the letter "Ee"
Scripture Memory: Matthew 24:13 "He that endures to the end will be saved." Silly Song or Nursery Rhyme "When I see an elephant fly (from Dumbo)"
Color picture about Esther becoming Queen. Social Studies concept: Learn about Mt Everest and other interesting facts. Reread the story of Esther and discuss review questions. I love your lesson plan ideas for the younger ones. I homeschool my four children and my youngest is 4yrs. old. 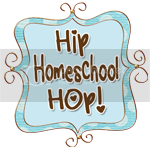 Found your via Hip Homeschool Hop! Love all your interactive learning!